Bhubaneswar: Prime Minister Narendra Modi on Tuesday said that Odisha has got something special that attracts him to visit the state several times. 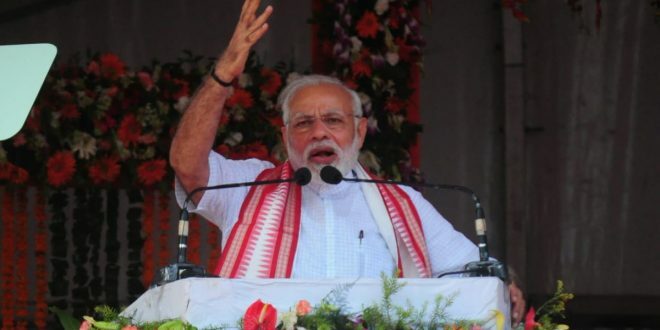 Modi took to Twitter to express his feelings in Odia language prior to his visit to the state for attending a public meeting in Kalahandi on Tuesday. Sources said Modi is scheduled to arrive at Bhawanipatna in Kalahandi at around 11 AM. This will be the second election campaign rally of the Prime Minister in Odisha. Earlier, Modi had visited the state on March 29. He will again visit Odisha on April 6.